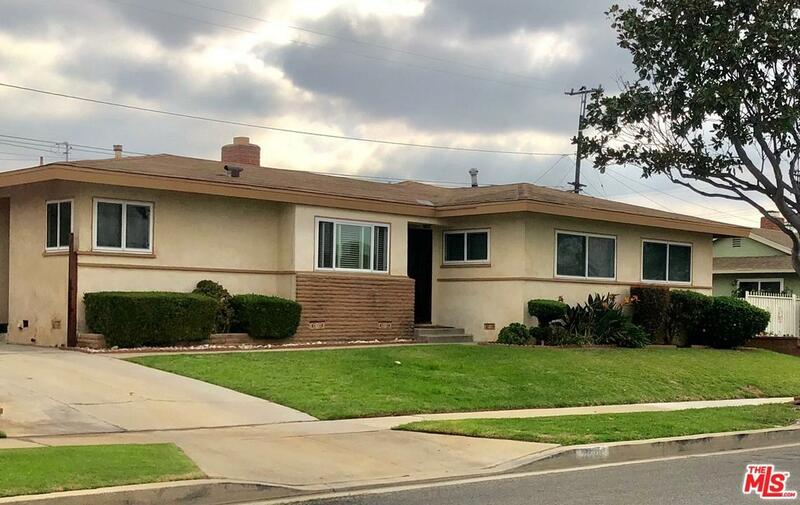 Located in the coveted area of Century Heights in the Inglewood Avenues. Make this mid-century home on a quiet tree-lined street your own, just in time for the holidays! The entry opens into the entertaining portion of the home with formal living room and fireplace. The formal dining room leads to the kitchen with breakfast area. There is a separate laundry room with pantry and a half bath. Exit the dining room through picturesque sliding glass doors to the patio and spacious grassy backyard with fruit trees. The entry also leads to the private areas, with a family room/potential bedroom, master with dual closets, and additional bedroom. The main bathroom is spacious, with a separate tub & shower. New triple-paned windows throughout. New exterior doors. New HVAC. Hardwood floors under the carpeting. 2 car garage with electric opener. Near the Fabulous Forum, the new NFL stadium development, LAX, & major shopping. Make a great investment and catch this one before it's gone!